Making your home more attractive is now made easier with available home decorations both in offline and virtual market. If you are burdened with what decors to put in your interiors and exteriors, this page will feed you with brilliant ideas that you can make use of. Styling your home requires effort and the work of your artistic imagination. If you want to have every corner of your room have a sense of personality, then it is possible. Try to consider the following home decorations ideas. Art glass windows -Artistically crafted glass windows can boost the personality of your home. With its unique styles, you can create a peaceful setting in an elegant and fabulous way. Not only that, you can also choose from a variety of designs. DIY headboards – You can add a luxurious look in your bedroom without spending too much. You can gain more information concerning the process on how to make DIY headboards online. Frames – There are various frames that have different paintings that can be readily placed on the wall. Artistry can be fully defined in the paintings of floral, beaches and even abstract canvas. Aside from this, you can also have your portrait or personal photos framed in a well-design and eye-catchy casing. 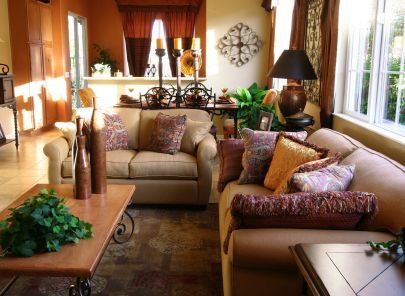 Just be particular and meticulous in choosing to have home decorations blend with your home interiors. Wall stickers – In interior decorations, wall stickers are just one of the latest trends that you have to watch for. You can choose an array of designs that would perfectly fit for the bedroom of a kid, teenage daughter or son. Such stuff enables the home owner to conceptualize a new look for her interiors. Custom wall stickers can be made that flair up the view of your living room. In just a matter of minutes, a highly stylish setting can be totally perceived. Curtains – Curtains of various designs and color can decorate your home in an instant. By simply choosing the best and attaching it to your windows, you come up with a new look and personality of your home. Table linens – Do you want to work on your dining place and want to accentuate its personality? You can brighten up the setting by putting stylish chairs and a table. Aside from this, colorful table napkins can also bring elegance. Tabletop decorations – The tiny pieces that you can place on top of the tables can perfectly match other home decorations. Not only that, it will also boost the style of your home. These may include Tea light candle holder, vase and other sculptures. Throw pillows – You can complete the look of your home with throw pillows coated in a colorful fabric that blends with the motif of your living room. Additionally, you can also choose an array of sizes and designs. You can have your home totally transformed and renewed by working on your imagination and home decorations stuff. Having your home experience your personal touch will indeed make it far welcoming and wondrous.